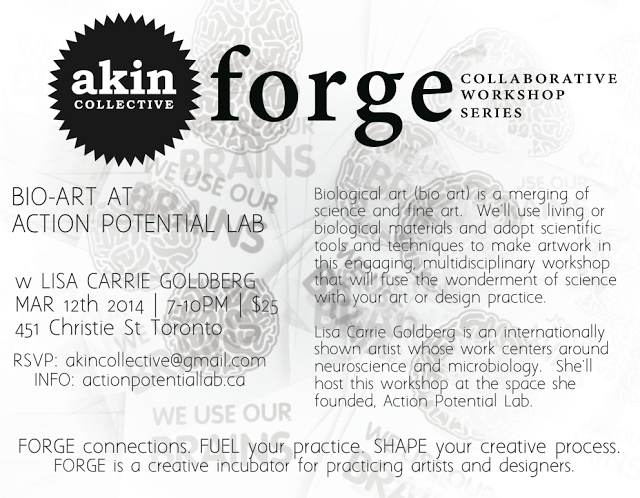 I am teaching a biological art workshop in collaboration with Akin Collective studios, for their inaugural Forge Workshop Series. This session is open to anyone in Toronto and +19 plus. Come by Action Potential Lab on March 12, 2014, from 7-10 pm and get your hands messy.